Things are definitely heating up between Newt Gingrich and ex-Speaker Nancy Pelosi (D-Calif.). 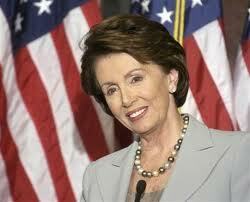 Pelosi has threatened to reveal information that would tarnish Gingrich’s image. Serving on the ethics committee that sanctioned Gingrich for violating tax laws and lying to an investigative panel, Pelosi has quite a bit of information up her sleeve.